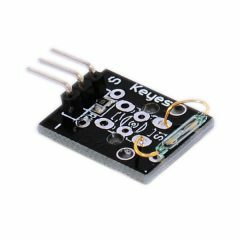 Arduino magnetic reed switch module Keyes KY-021. A reed switch is a magnetic sensor that is normally open and gets closed when exposed to a magnetic field. The KY-021 Mini Magnetic Reed Switch Module consists of a 10kΩ resistor and a small reed switch actuated by a magnetic field, commonly used in mechanical systems as proximity sensors. 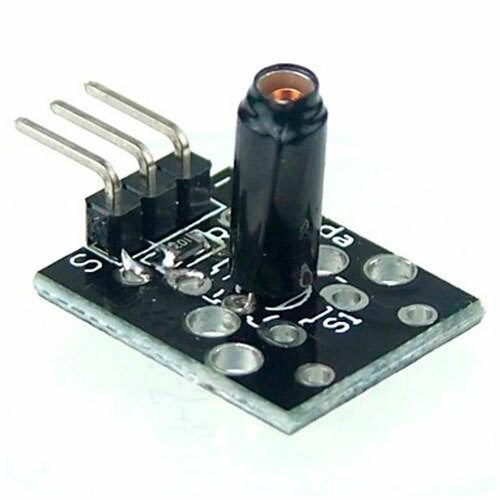 Compatible with popular electronic platforms like Arduino, Teensy and ESP8266. 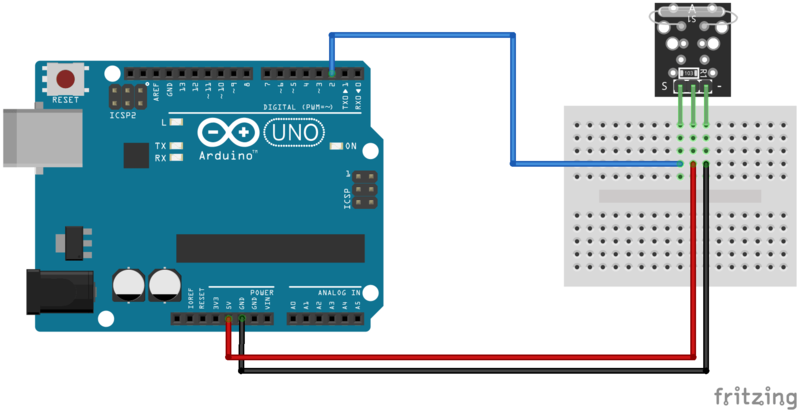 The following sketch will turn on the pin 13 LED on the Arduino when the module detects a magnetic field. Place a magnet near the KY-021 to activate the reel switch. 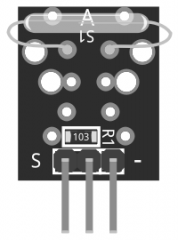 Fritzing Part: KY-021 Mini Magnetic Reed Switch Module.